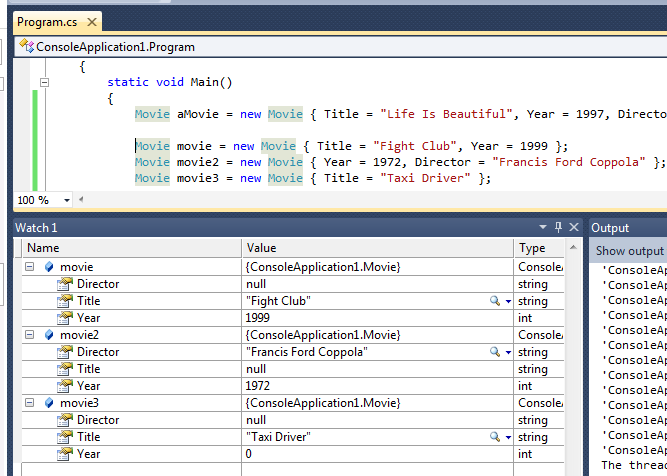 You can use object and collection initializers to initialize an object or collection when it is declared. You can also use an object initializer anywhere that an instance of the corresponding object is expected. And you can use a collection initializer wherever an instance of the collection is expected. 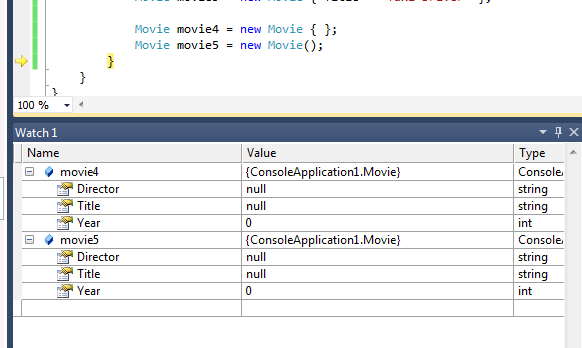 This means that we can use initializers to create an object passed as a parameter to a method. 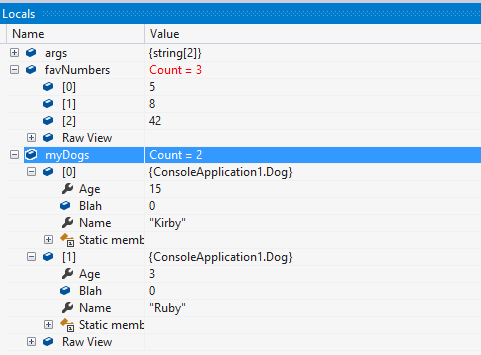 We can pass an object initializer that creates a new Dog instance to the DoSomethingWithDog method. And we can pass a collection initializer to the BarkPlaylist method. Recall that you can initialize a collection when it is declared, using a collection initializer. Also recall that, instead of invoking a constructor, you can initialize an object by using an object initializer. You can combine these techniques, using object initializers within collection initializers. Instead of using the Add method repeatedly to populate a generic list, you can use an object initializer to initialize the contents of the list when you declare it. The object initializer used to initialize a generic list consists of a set of braces, with a comma-separated list of elements within the braces. If the list’s type is a reference type, each element in the list is instantiated using the new operator. This use of an object initializer, in initializing a collection, is known as a collection initializer. One common pattern for using an object initializer to initalize select properties or fields of an object is to use the following syntax. When using this syntax, the default (parameterless) constructor for the class is called. After the object is constructed, the specified values are assigned to the appropriate properties. You can also construct the object using any custom constructor, followed by an object initializer. The constructor is called, setting Name and Age. After the object is constructed, the CollarSize property is initialized to contain a value of 12.4. When using an object initializer to initialize the contents of an object, you can nest an inner object initializer to initialize an object that is referenced by a property of the outer object.